The genome for S. aureus was completed at the Sanger Institute and published in June 2004. Comparison of the genomes for the two forms shows significant genetic differences between MRSA and MSSA. Currently these organisms is the subject of much concern amongst Health professionals particularly in the UK and USA. . This concern stems from the evolution of a new antibiotic resistant form of the species (eMRSA-16 or MRSA252). Figures from the USA indicate that some 51% of infections are contracted in hospital itself and 31% are contracted from within the community. This bacteria is associated with a variety of conditions including skin and lung infections. As an example of evolution it can be shown that the population of S. aureus has diverged into two forms. Methicillin-resistant Staphylococcus aureus (MRSA) also known as the epidemic MRSA against which Methicillin antibiotic has no effect. Methicillin Susceptible Staphylococcus aureus (MSSA). This form is still contained by the use of the antibiotic Methicillin. Antibiotics selectively kill susceptible forms of the bacteria. The antibiotic is the selection pressure on the population of Staphylococcus aureus. MRSA therefore survives the antibiotic to reproduce. Proto-kaka isolated from ancestral parrot family by the Tazmin sea formation 100 my ago. Mountains form in New zealand (southern alps) creating alpine environment about 50 my ago. 0.5 M years ago New Zealand splits into two Islands. 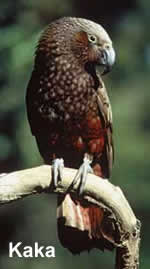 The Lowland Kaka diverges into two reproductively isolated populations of the North and South Island Kaka. Proto-kaka diverges under selection pressures to form the alpine kea adapted to the mountain environment and the lowland kaka. Students research the problems associated with the overuse of antibiotics and antibiotic resistance and develop an educational tool to inform the public about this problem. Divide your class into small groups (three to four students). Each team will represent a group of health professionals who have been hired to develop a public relations campaign about antibiotic misuse and resistance. Help your students locate the Web resources highlighted in the activity. If your students choose to create posters or PowerPoint presentations, you may need to provide other resources (poster board or access to computers with PowerPoint capabilities). Display the finished products, or allow students to show them to the class. You may want to encourage students to hand out copies of their pamphlet in their neighborhood. They should at least follow up with the survey participants.